The one dreadful week separating every college student from the bliss of summer vacation…final exams week. Some may even say this week is worse than stepping on a pop top and busting your flip flop! The good news is, there are several things you can do to prepare yourself for finals… Here are some tips and tricks on how to make finals week not so awful. Eat Well. Instead of diving head first into a bag of chips and an energy drink for every meal, buy nutritious snacks that you can still bring into the library. Perhaps dried fruit, fresh veggies, some Margaritaville Nut and Fruit Mix or a protein shake. Take a Nap! Fatigued brains do not retain information, nor do they recall it well. Take a break, find a hammock, and recharge your brain. Coffee. Didn’t squeeze in the power nap? Margaritaville coffee will refuel your tank and is environmentally friendly. 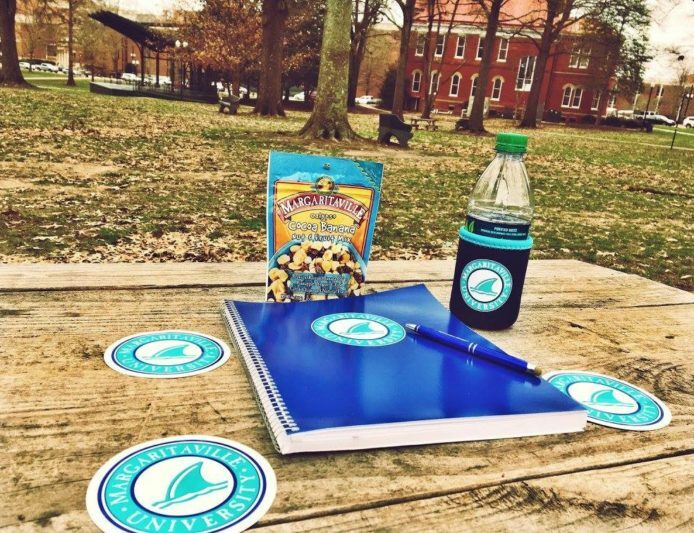 Sip, recycle and hit the books. Don’t forget to drink water too! Create a Study Group. This is especially helpful if you spent the rest of the semester on island time. Share notes, ask questions, learn new study skills and avoid procrastinating. Don’t Forget Your #2 Pencil. Check and double- check your exam details. Pack your materials beforehand (calculator, pencil, notecard, etc. ), put a sticky note on your fridge, set an alarm… or five. Study Smart, Not Hard. Not all study time is equal. Sitting in a loud dorm room surrounded by friends, music and distractions probably isn’t your best bet for acing that test. Find your quiet escape and study there. Exercise. Being active has many benefits that will help you through exam week: better quality sleep, increased concentration, increased energy, and the list continues! Don’t have time to work out? Walk to class instead of taking the bus, take the stairs instead of the elevator, or order takeout instead of delivery. Plan Ahead. Instead of waiting until the last minute to study for all your tests, prioritize what subjects need the most reviewing and focus on those topics ahead of time. You’ll be thankful you didn’t procrastinate when you’re acing the practice exams two days before the test! Disconnect. Sometimes you have to turn off the coconut telegraph to truly concentrate. Try turning off your phone or silencing your notifications. It may seem hard at first, but once you’re in the zone, you’ll forget all about your phone! So power through finals with our tips and then it’s time to breathe in, breathe out and move on to summer! Looking for a University with no finals? 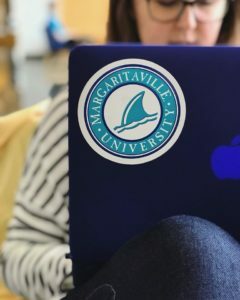 Applications for Margaritaville University are now rolling for Fall 2018. Find out more at MargaritavilleUniversity.com.